Somewhere between Myanmar and Phuket, in the Andaman Sea, my perception of luxury cruises shifted from that of a cliché to feeling very much part of an exclusive club. In what felt like a blink of an eye on board Seabourn Sojourn, while watching an unpolluted starry sky meet the horizon, I realised that I was in my own little ‘one-off experience’ moment, which was totally unmatched by any hotel on the planet – no matter how luxurious. In just a handful of days, our short voyage took us to four countries until we eventually arrived in the bright lights of Singapore. We docked just in time to attend the naming ceremony of Seabourn’s latest ship, the Encore. 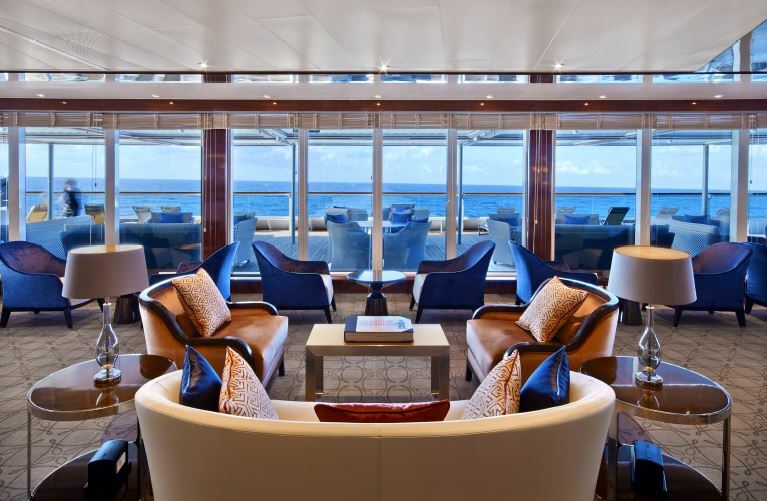 With interiors imagined by award-winning designer Adam Tihany, who is best known for working on hotel projects such as The Beverly hills Hotel, Mandarin Oriental London and Four Seasons Dubai Financial Centre, it was clear that the luxury cruise liner was daring to be different in order to cater to the growing demand for luxury travel. 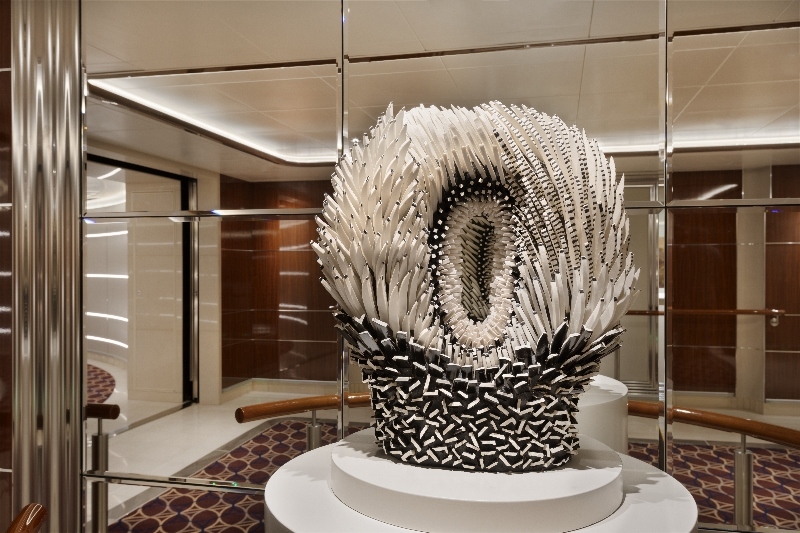 From impeccable finishes and bespoke fittings to the hand-picked art, the Encore was the beginning of a new design direction for the Seabourn brand with a few elements remaining the same, such as the iconic hot tub positioned on the bow. Tihany’s sharp vision provided comfort and familiarity of an on-board living room. 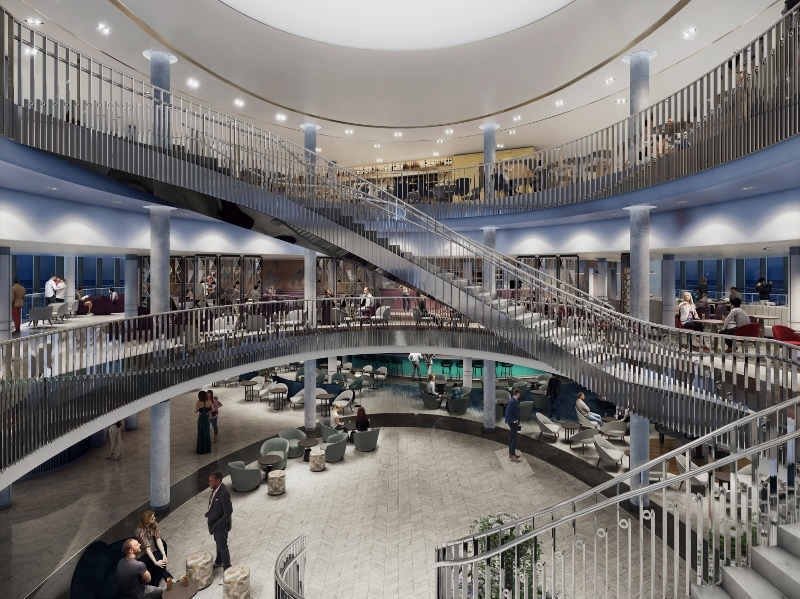 The atrium included an elliptical double-helix staircase that connects seven floors and was complete with a six-storey art installation that, again, reiterated the design inspiration of Seabourn’s effortless luxury style. 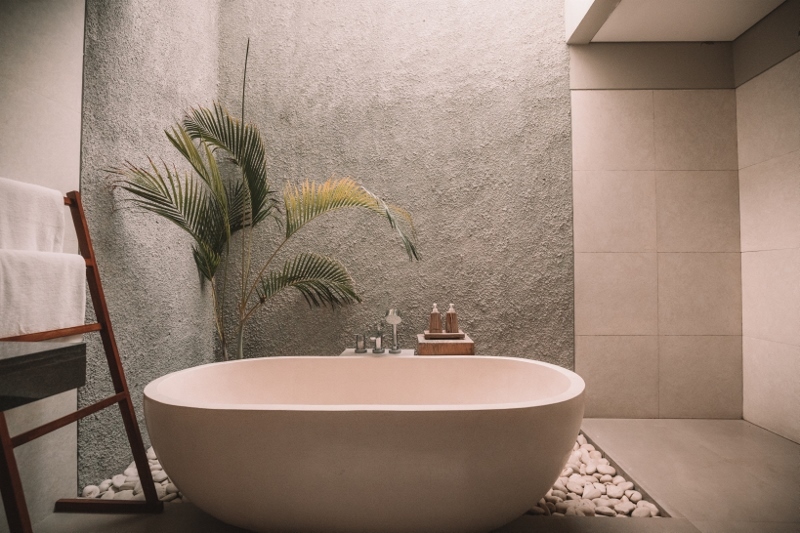 Ever since then, the industry has evolved and expanded as a result of travellers being prepared to go further to explore beyond just one beach, city or a destination. In 2017, a total of 25.8 million passengers boarded cruise ships to travel, which is 4.9 million more passengers than in 2012. With this great demand comes great responsibility. 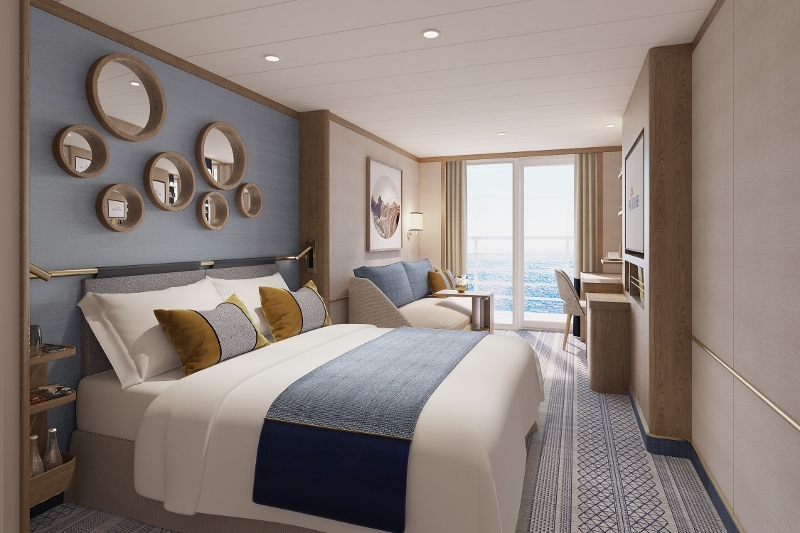 The leading luxury cruise liners as we knew it had to, with a splash of irony, charter themselves into new waters in order to seek inspirational interior designers to work on creating their up-market future fleet of ships. 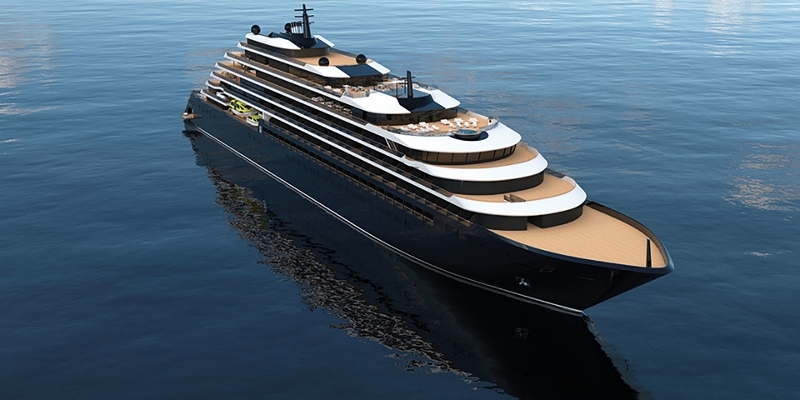 While Tihany continued to wave his interior designer wand on Seabourn’s luxurious fleet, with the launch of Ovation last year, other celebrated hotel designers were also receiving ambitious briefs in order to take luxury cruise ship design to new heights. 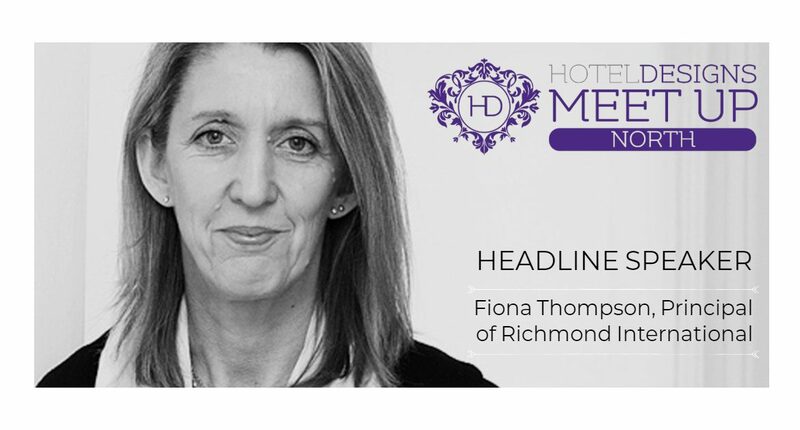 “Richmond loved this challenge after decades in land based hospitality design; this has become a huge part of our business.” – Terry McGillicuddy, Director, Richmond International. Despite the firm having led interior design projects such as The Beaumont, Langham London and Sandy Lane in Barbados, the team were required to adapt their design processes in order to comply with certain marine regulations, as McGillicuddy explains: “We needed to learn the specifics to Marine Works Regulations and certifications, respecting International Safety of Life at Seas (SOLAS) rules, and a whole new ‘ship’ language. “It was also crucial to understand the differences between the interior fit out process of the ship, which is a metal construction ‘panel’ based system throughout. We had to appreciate the limitations in terms of space constrictions and minimal ceiling heights, and design the interior around these issues. “Due to restrictions on weight and different fire regulations, material specification was also a challenge. We looked at new suppliers and manufacturing processes, which have the approved IMO certification for marine use. An elegant, arcing staircase of Italian marble with a polished, filigree silver balustrade serves as the centrepiece to the space, evoking the glamour of the iconic cruise ships of the 20th century. Designed as a piece of sculptural architecture, its curving form guides guests on a journey through the decks offering changing views and perspectives of the sea and activity within, encouraging everyone to explore the variety of destinations on board. Following its maiden voyage on December 9 from Fort Lauderdale, Florida, all eyes seem to be focused on the Celebrity Edge cruise ship. 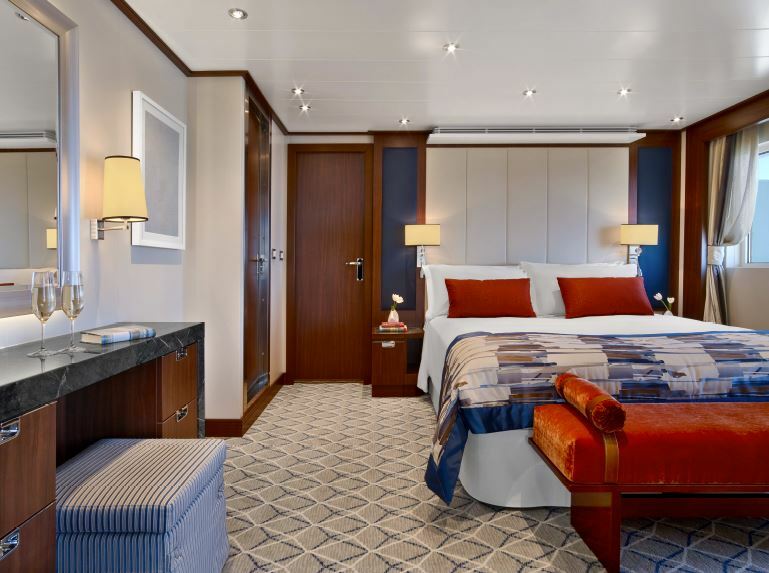 The 1,467 staterooms, including 176 suites, on board have been designed by the award-winning luxury interior designer Kelly Hoppen. 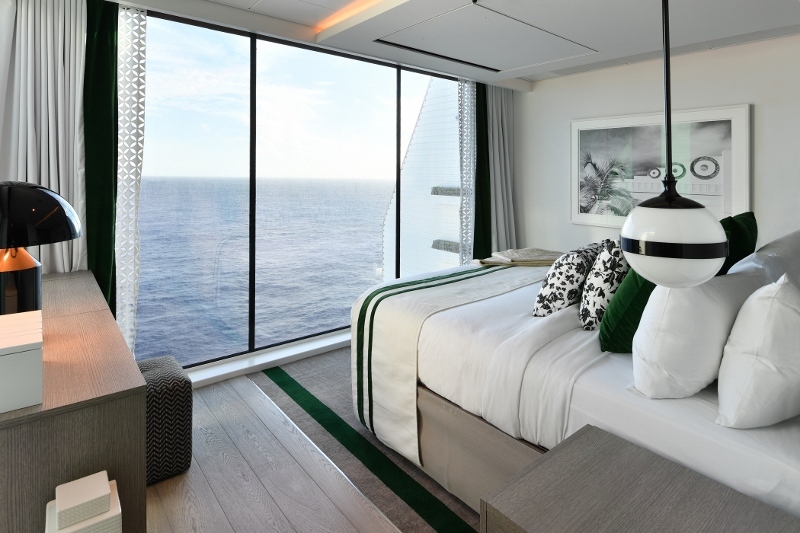 In addition to the laid-back luxurious accommodation, Hoppen also designed the Retreat Sundeck and The Retreat Lounge and Luminae, which is the suite-class restaurant. 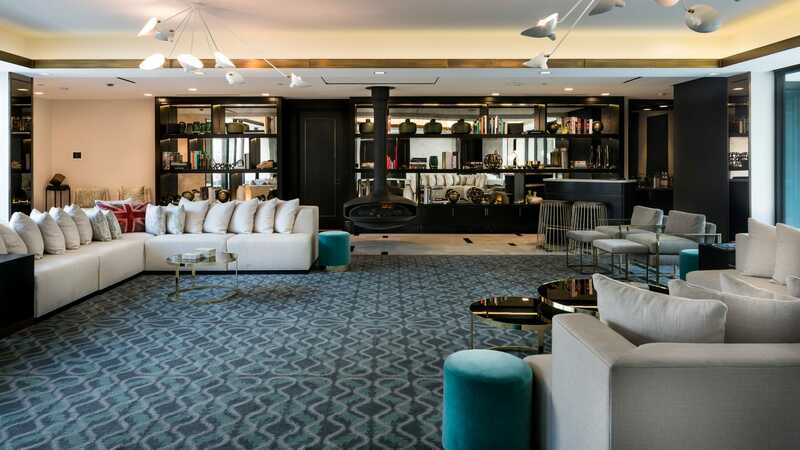 Hoppen’s stylish interiors proved so popular that they are now being rolled out across the fleet as part of a $500 million investment called the Celebrity Revolution. The architect on the project, Tom Wright, whose impressive portfolio includes projects as grand as the Burj Al Arab, pushed design boundaries by unveiling the world’s first cantilevered deck on the vessel. The elevating deck, or Magic Carpet as it is being called, can move up and down the ship’s exterior with the ability to dock at four separate levels. 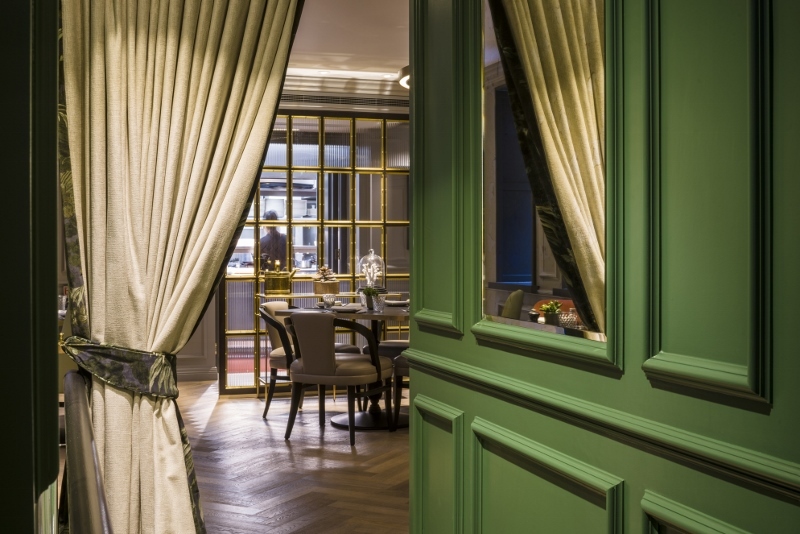 The concept of its interiors, designed by Hoppen, transforms into many settings. When it is positioned at Deck two, for example, it becomes a luxury entrance foyer. 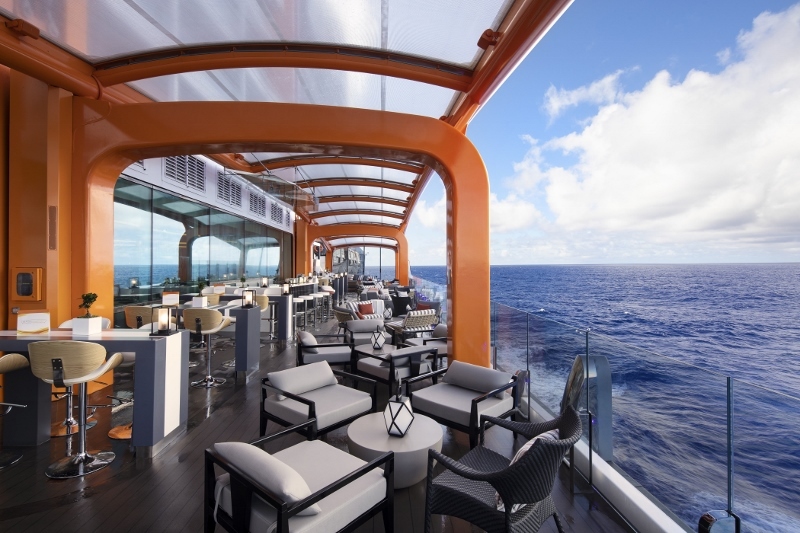 However, when it moves to Deck 16, it becomes a high-dining experience. Design studio Jouin Manku also worked on the interior spaces inside Celebrity Edge. On board, the studio imagined The Grand Plaza, which is the Main Dining Atrium as well as the connecting circulation spaces. 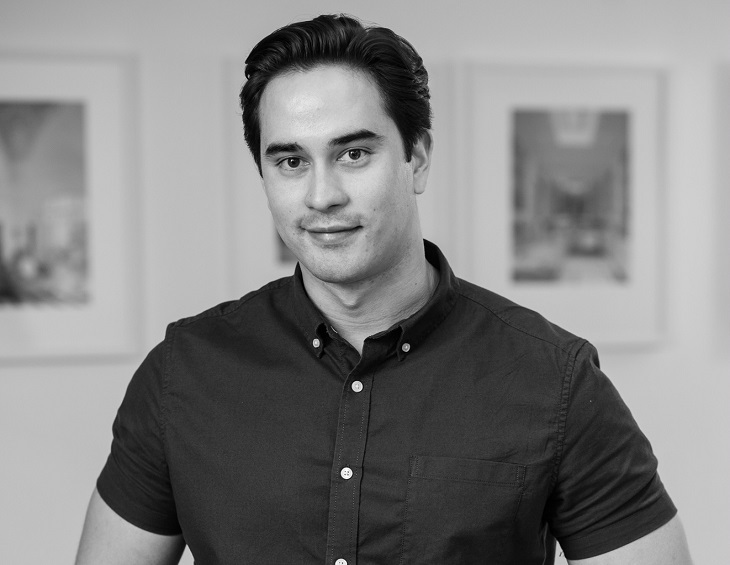 Designers Sanjit Manku and Patrick Jouin came to the Celebrity Edge project with a sense of excitement and wonder, and the desire to capture the magic of travelling by sea. Inspired by the glamour and adventure of the pre-war era of travel, they sought to transform this experience for the 21st century. Meanwhile, the three-storey Eden bar and restaurant stretches across the stern of the vessel and is complete with striking spaces of dark greens, brass and palms. Aside from the water slides, zip-wires and other sensational headline-grabbing features on board the giants of the seas, there is a larger picture. 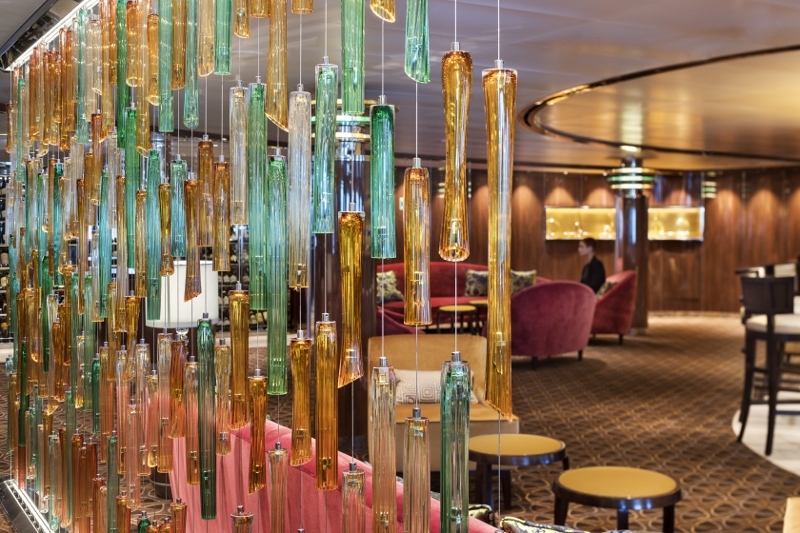 With the cruise industry now leaning on leading hotel designers to imagine their future fleets, the lanes between luxury hotel design and luxury cruise ship design are coming together. In August of last year, the cruise industry hit new records, reporting a total of 113 ships on the orderbook to be introduced between now and 2027, with Seabourn, Princess, TUI and Lindblad among them. 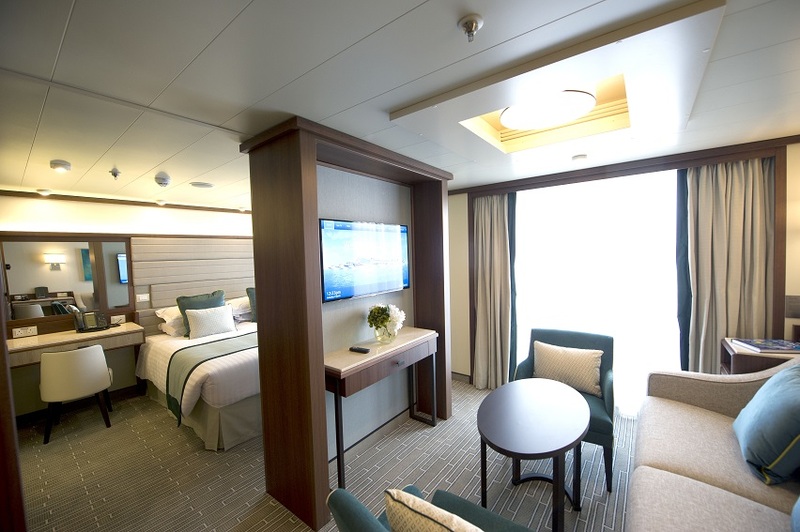 With the demand for cruise ships at an all time high, more and more award-winning hotel designers are seeing this market as one of ample opportunity, taking international hotel design on its maiden voyage for an unforgettable journey. Throughout this series, Hotels at New Heights, we have investigated how other luxury markets are working to design their future territories. 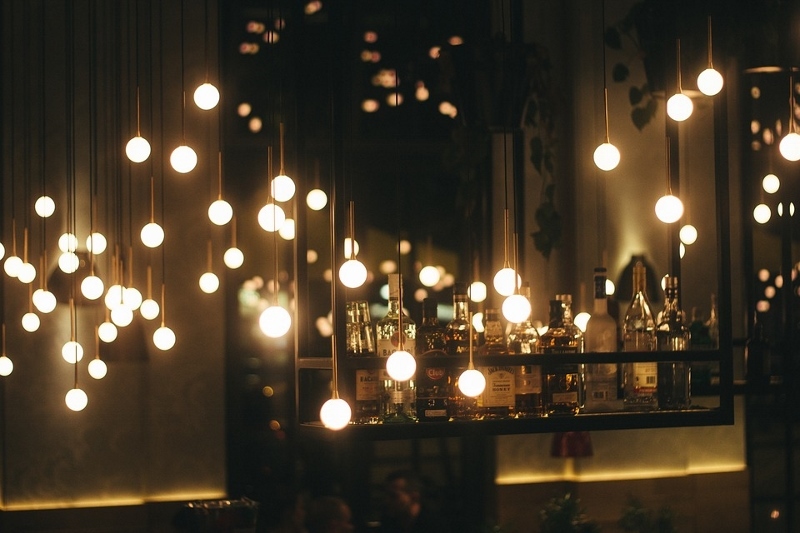 The aim of this series has been to understand how hotel designers and architects can continue to challenge conventional design in order to help lead the hospitality market with clear innovation and thinking outside the box. To read article one, Hotels at New Heights: Suites in the Sky, click here. To read article two, Hotels at New Heights: Rooms on rails, click here. 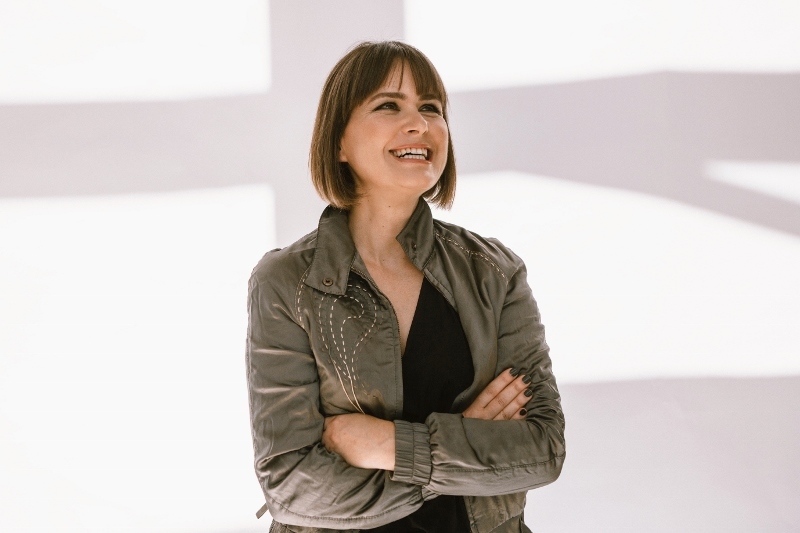 Her most recent work includes The Orient in Jerusalem and this year she has spoken at a number of international trade fairs, the most recent of which was Maison Objet in Paris. 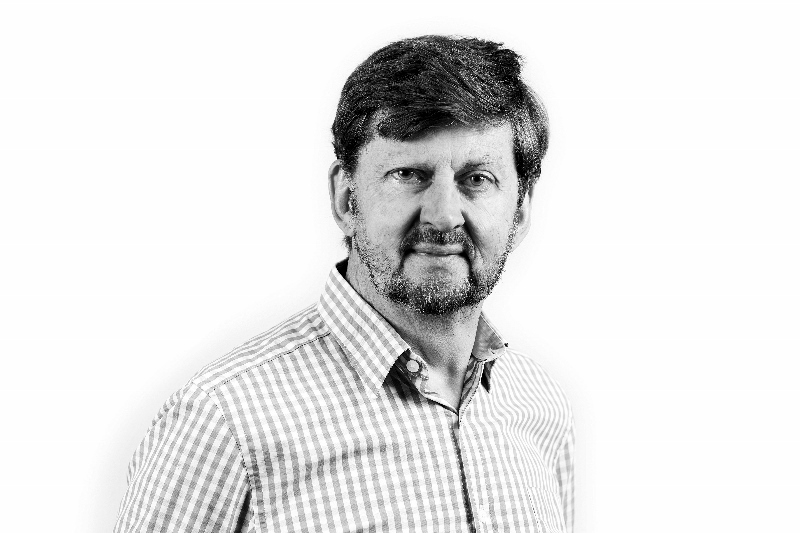 Dexter Moren is the founding director of Dexter Moren Associates (DMA) and is recognised as an industry leader in the international hotel design sector. 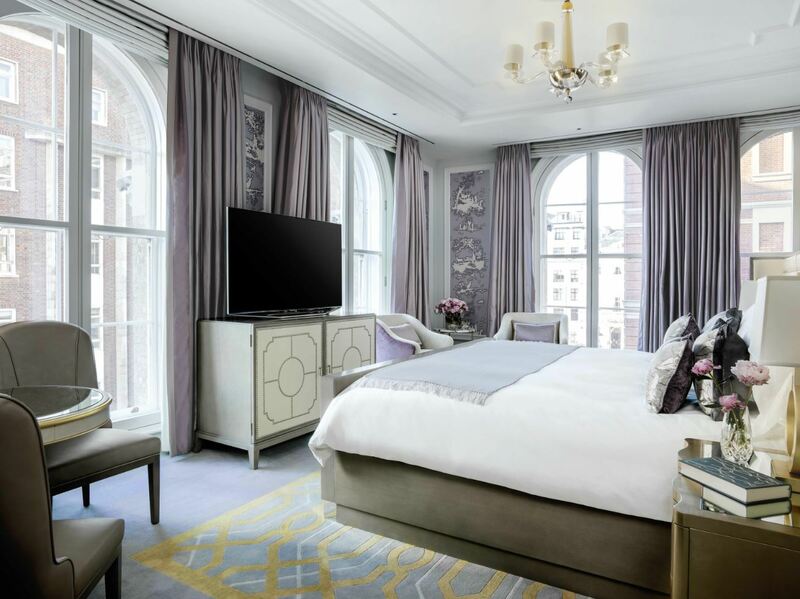 DMA is an award-winning hotel, hospitality and residential architecture & interior design firm based in London. 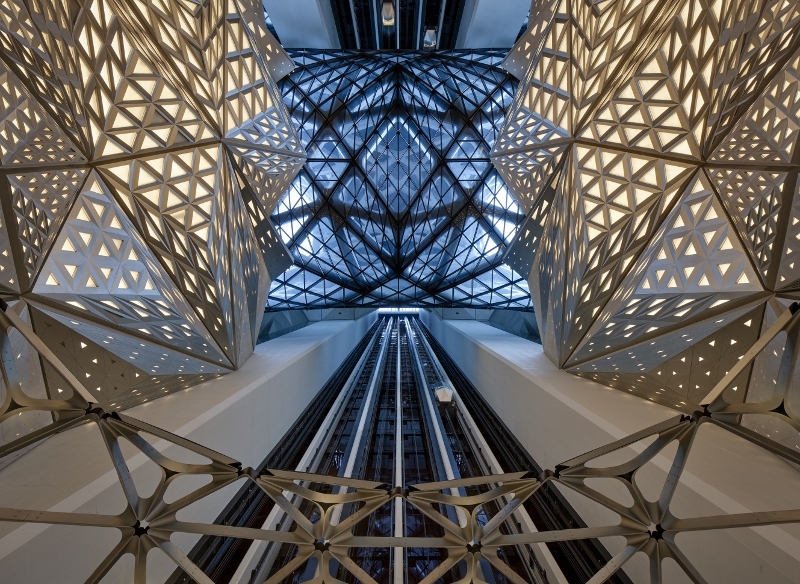 DMA’s most recent projects include The Curtain and Dorsett City Hotel in Aldgate. In addition to these, the firm is also working on The Westin, City of London, as well as a hotel development in Southwark. King and her team have been instrumental in positioning the Hotel Indigo brand with a ‘neighbourhood story’ led design for each site. No brand has been left untouched, with IHG’s long stay offering, Staybridge Suites, also being redesigned with investment potential in mind. 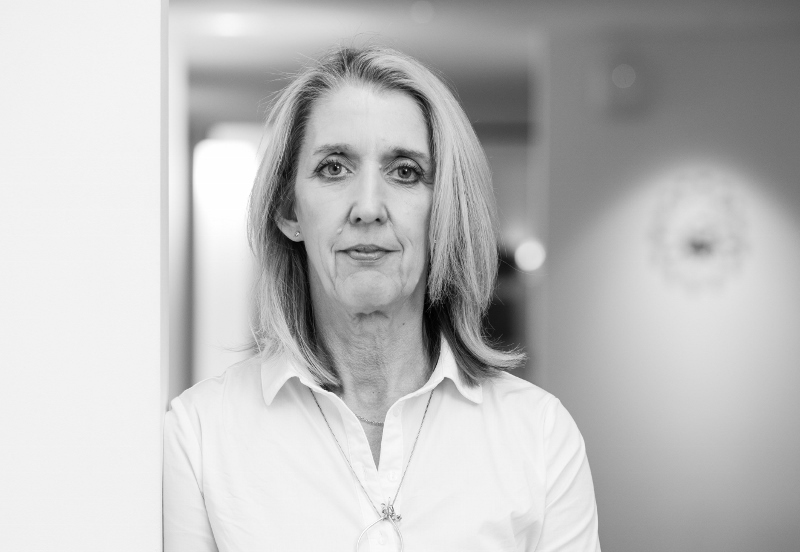 An interior architect by training at Cardiff University and despite over 20 years’ hotel design experience, she believes that there is always more to learn. 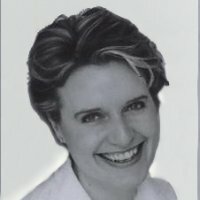 Thompson continues to be an influencer as the landscape of international hotel designs continues to evolve. 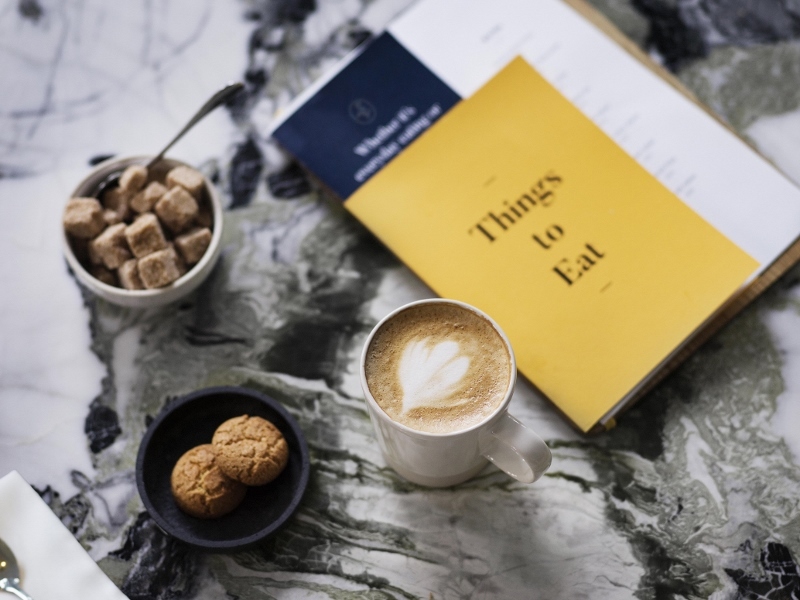 guestrooms, restaurants and the iconic Atrium Space and Wine Tower Bar, Trevillion Interiors has proven time and time again that it is ahead of the curve of hotel interior design. 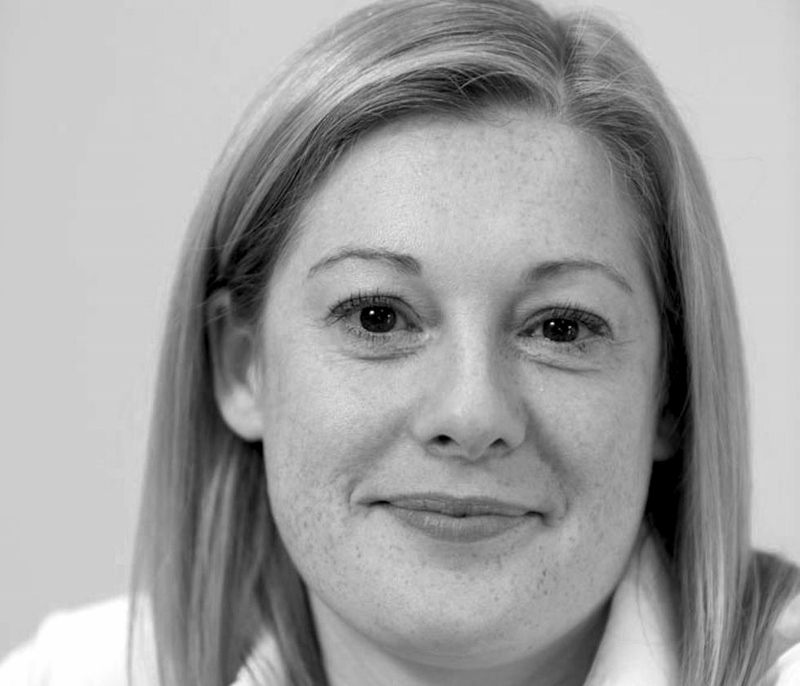 The firm’s impressive client list includes Best Western, QHotels, Radisson Blu, Royal Garden Hotel and IHG. 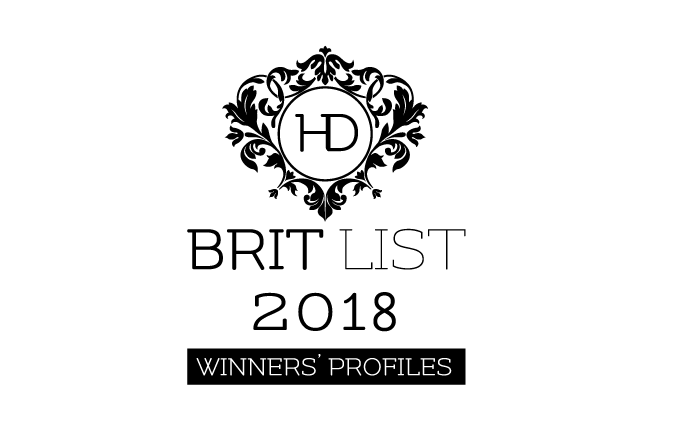 Here are the top 5 stories of the week, as selected by Hamish Kilburn, editor of Hotel Designs. This week we collated all the ingredients for a great series of stories. 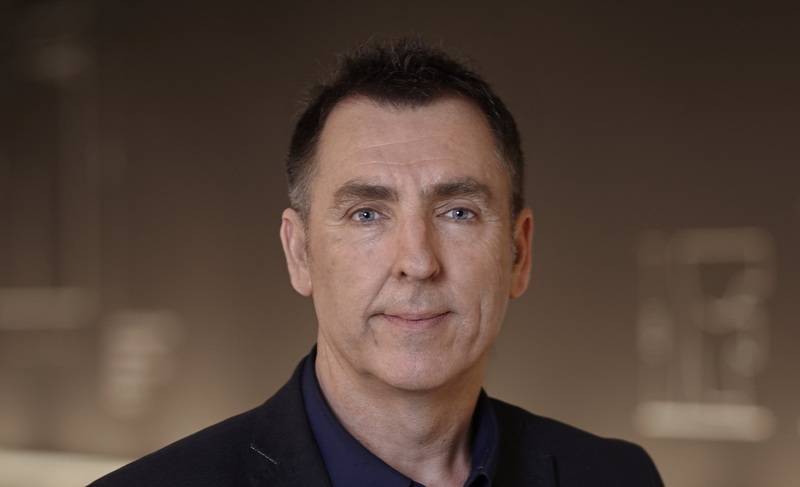 We’ve had architectural cakes, new builds, significant anniversaries, drawing-board renderings of new hotels, showroom openings and even a sprinkling of an exclusive Q&A from the managing director of bathroom specialist Duravit. It’s been a busy week, so here’s a breakdown of the major stories. Leading architects gathered last weekend for the final of WATG’s Great Architectural bake-off. Judges included Great British Bake-Off competitor; Jane Duncan OBE, the 75th RIBA president; Bethan Ryder, Digital Editor at Wallpaper*; Peter Murray. 2) Will hotel designs and Cruise ship design marry at sea? 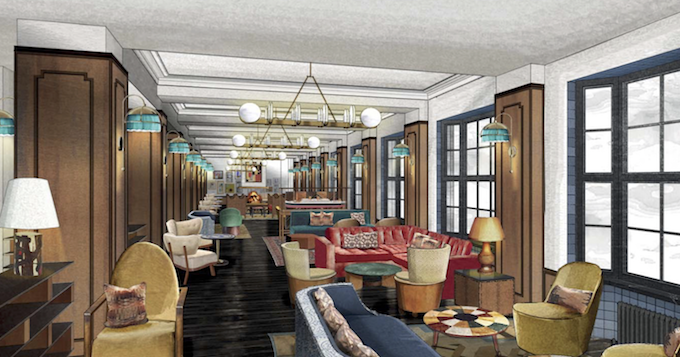 In an exclusive feature, editor of Hotel Designs Hamish Kilburn investigates why so many hotel designers are stretching their services to also include cruise ship design.